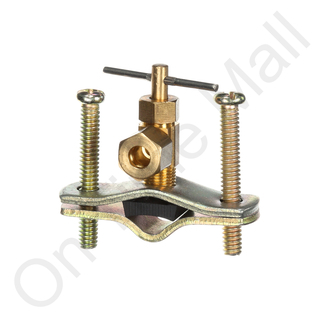 Replacement saddle valve for any brand of humidifier. Straps onto 1/2 inch ID copper pipe and has a self piercing valve on it. Allows you to connect a 1/4 inch copper tube to the valve using a compression connection. The valve was very sturdy,easy to install,but seemed a little overpriced.